After driving past Congressional Cemetery countless times, I finally decided to tour it. Maybe it was the abundant street parking that convinced me, but what a jewel I’ve been missing. 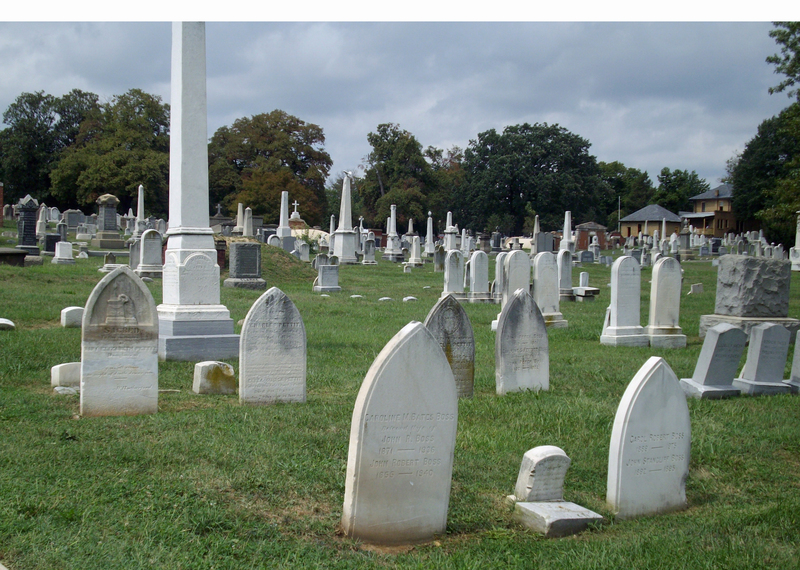 The 35-acre cemetery on Capitol Hill was established in 1807 as the Washington Parish Burial Ground. Soon it would be called the “national burying ground” for the congressmen, justices, military leaders and prominent citizens that now number 55,000. The famous folks interned there include military band composer John Phillip Sousa, FBI director J. Edgar Hoover, Capitol architect William Thornton and Civil War photographer Matthew Brady. But the really curious attraction is the 166 sandstone cenotaphs. Eighty U.S. Congressmen and Senators who died in office were buried there until 1870 when Massachusetts Senator George Frisbie Hoar said the strange markers gave new meaning to the “terrors of death.” However, Congressman Stephen Joshua Solarz was buried there in 2010, though with a traditional black marble stone. There are soldiers from the Revolutionary, War of 1812 and Civil Wars with an occasional sprinkling of those white marble stones more often seen at Arlington National Cemetery. The cemetery offers free tours on Saturdays at 11 a.m. from April through November. It’s open every day with access through the gate to the right of the house. Maps are in a mailbox to the right just inside. This entry was posted in Memorials and tagged Best Washington DC walking tours, Congressional Cemetery, Photos by Rick Snider, Washington D.C.. Bookmark the permalink.